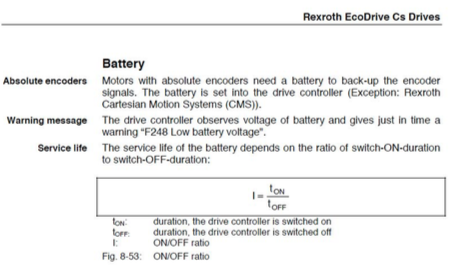 The Rexroth drive has absolute encoders, therefore a battery is necessary to back-up the encoder signals. If the battery is low you will receive an error message. 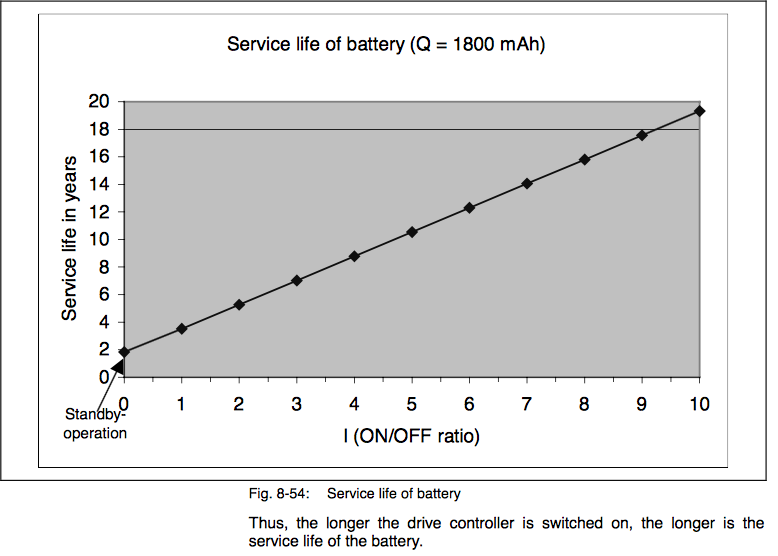 Exchange the battery, according to the Rexroth manual. In case the position is lost you need to reset to the reference point, you will find instructions in the Rexroth manual. Do not switch off the machine when you exchange the battery, otherwise the position gets lost.